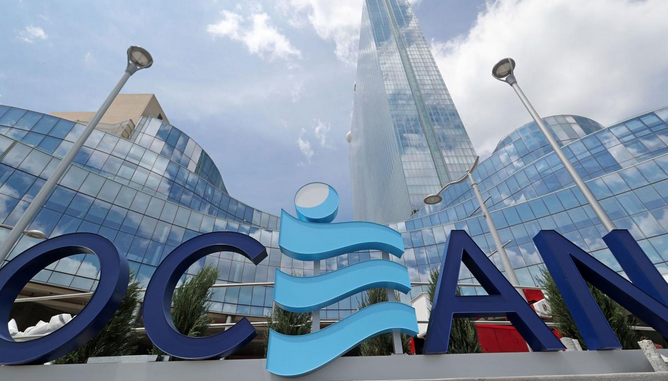 The ownership of the Ocean Resort Casino has changed, and that seems to have spurred the employees to push towards unionization. It will include not only Ocean casino employees, but those who work at the hotel and the restaurant that are a part of Ocean resort. According to a piece published in the Press Atlantic City, the New Jersey State Board of Mediation approved the signature cards of 74% eligible employees of this resort who indicated that they want to establish a union as a part of this Boardwalk property. It seems that they have a good chance of succeeding and getting their union legalized and working. The law requires that at least 50% of the workers show that they want to unionize, and it is obvious that at this case, the employees have reached 74%, 24% more than the required minimum. Once there is 50%, the employer has to formally recognize the union as a part of the company. The president of UNITE HERE Local 54, Bob McDevitt, said on Friday that the number of employee signatures was “really satisfying.” McDevitt stated that Ocean Resort had acted in good faith and that the union was looking forward to sitting down with them at the table. UNITE HERE is an international labor union which currently represents 270,000 working people all over North America. Local 54 stands for all hospitality workers who are in the area of Atlantic City. Once the negotiations commence and the union becomes legal, the Local 54 part would represent a total of 1,300 employees who worked at the former Revel Casino Hotel. At the moment Local 54 represents over 8,500 workers, including various housekeepers, bellhops, bartenders, cooks, and cocktail servers in hotels all over AC. The union has been already recognized by Hard Rock Hotel & Casino Atlantic City and represents 1,500 workers from this property. The officials of the union stated that they needed to wrap up negotiations with Hard Rock before they could shift all their attention and focus to Ocean Resort. Both of these casinos were unofficially opened on June 27, 2018. Hard Rock opened instead of the Trump Taj Mahal Casino Resort. Things are definitely going to get interesting in the future as Ocean Resort already struggled financially only a couple of months after it was opened. They requested a temporary relief which was extended for one month, and Luxor Capital Group eventually assumed the majority of the resort from Deifik. In other words, these are turbulent times for Ocean Resort and workers there definitely need to unify in order to protect their working conditions, salaries, and more. A union would look after them, and they would become a part of a bigger union movement called UNITE HERE, which would represent them whenever needed.